The cholera epidemic in Haiti has highlighted the international community's historic lack of attention to water and sanitation. Water and sanitation coverage in Haiti has stagnated for decades in the lowest in the Western Hemisphere, far behind the average of average countries in Latin America and the Caribbean. One third of the people lack access to safe water and only a quarter have private latrines. Without these services, the Cholera quickly spread following the outbreak in October 2010, affecting more then 719,000 people and causing 8,700 deaths...Continue reading this article at http://www.huffingtonpost.com/pedro-medrano-rojas/clean-water-and-strong-in_b_6510336. The work that has been received in Haiti for clean water and sanitation is a great step in helping these third world countries. Although progress is being made, it is still affecting an enormous amount of people worldwide. 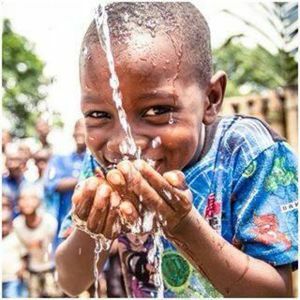 We believe more attention and work should be brought to helping resolve this issue, due to the fact that clean water and sanitation is linked towards all the other pillars.